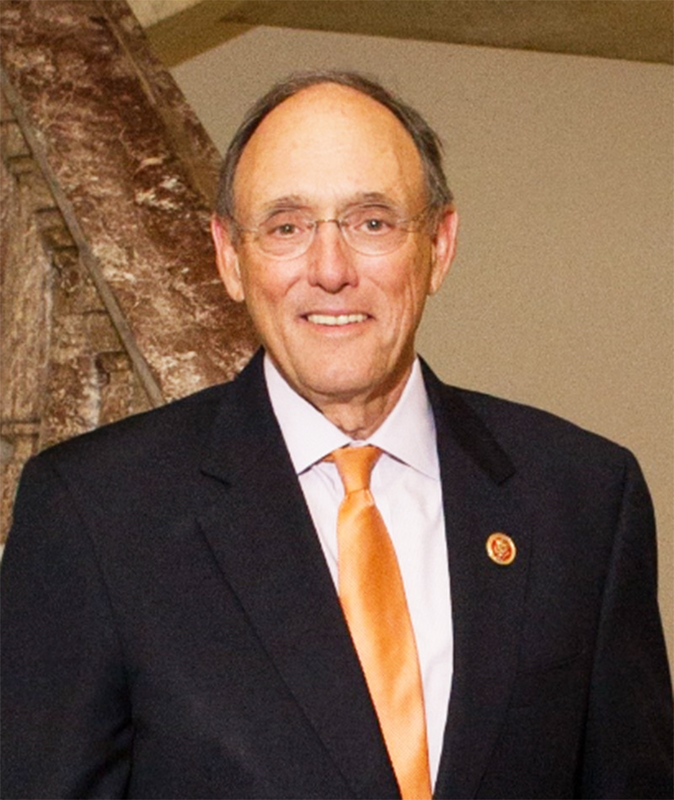 April 9, 2019 - Representative Phil Roe represents the First Congressional District of Tennessee. He is a resident of Johnson City serving his sixth term in Congress, Dr. Roe has a strong work ethic and is committed to working on behalf of the First District, Tennessee and our nation. Congressman Roe is Ranking Member of the House Committee on Veterans' Affairs and he chaired the committee in the 115th Congress. Additionally, he serves on the House Education and Labor Committee. Previously, he was a member of the Joint Select Committee on Solvency of Multiemployer Pension Plans. Prior to serving in Congress, Phil served as the Mayor of Johnson City from 2007 to 2009 and Vice Mayor from 2003 to 2007. He ran a successful medical practice in Johnson City for 31 years, delivering close to 5,000 babies. Congressman Roe is a ranking member of the House Committee on Veterans' Affairs and chaired the committee in the 115th Congress. Additionally, he serves on the House Education and Labor Committee. Previously, he was a member of the Joint Select Committee on Solvency of Multiemployer Pension Plans. Conference registrations are now being accepted and limited exhibit space is available. The cost for exhibit space is $750.00 which includes registration for two people to attend all meeting functions and special activities planned for attendees. Call TODAY to insure the opportunity of showcasing your company or organization’s product or service at the VCEA’s annual conference. Conference registrations are now being accepted and limited exhibit space is available. The cost for exhibit space is $750.00 which includes registration for two people to attend all meeting functions and special activities planned for attendees. Call TODAY to insure the opportunity of showcasing your company or organization’s product or service at the VCEA’s annual conference. The annual golf outing will be Monday afternoon, May 21st at the Meadowview’s Cattails nestled between the rolling foothills of the Appalachian and Great Smoky Mountains. The course is conveniently located adjacent to the hotel. The annual fishing tournament will also be held Monday, May 21st in the TriCities area. For additional information, or to register, contact the Virginia Coal & Energy Alliance at 276-889-2262 or 276-889-4001, or E-Mail: vcea@virginiacoalenergy.com or visit the VCEA website http://www.virginiacoalenergy.com/.